Ariana Clark is a one of the Pioneer Valley Ballet Seniors this year. She joined PVB in 2008 at one of the community auditions for The Little Mermaid, and she has been in every performance since then. Ariana performing at the Berkshire Museum in Pittsfield, MA. Ariana has stayed with PVB all these years because when she walks in, she feels supported. She found her love for dancing and performing and has been unconditionally allowed her to pursue that passion. “In the future,” she says, “I want to help others; whether that be organizing a non-profit, becoming a political leader, or teaching ballet to six-year-olds, I plan to continue to fight for equality between all social and economic classes.” As she moves on in life she will always remember how she was treated and how she should treat others. PVB has not only taught her how to be respectful but also when to speak out for herself and what she believes in. Ariana will be attending Brown University next year with an interest in studying physics and applied math. 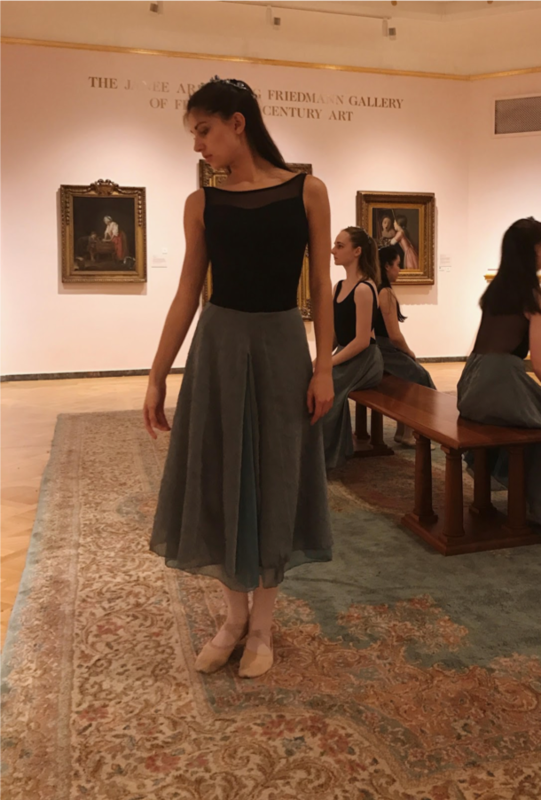 At Brown, she hopes to continue dancing through student-led groups, classes offered by the university, and with outside dance companies around the Providence area. Before heading off to college, she hopes to spend some time at PVB over the summer, teaching younger levels and taking classes. Ariana performing with PVB at Art in the Orchard, Park Hill Orchard, Easthampton, MA.